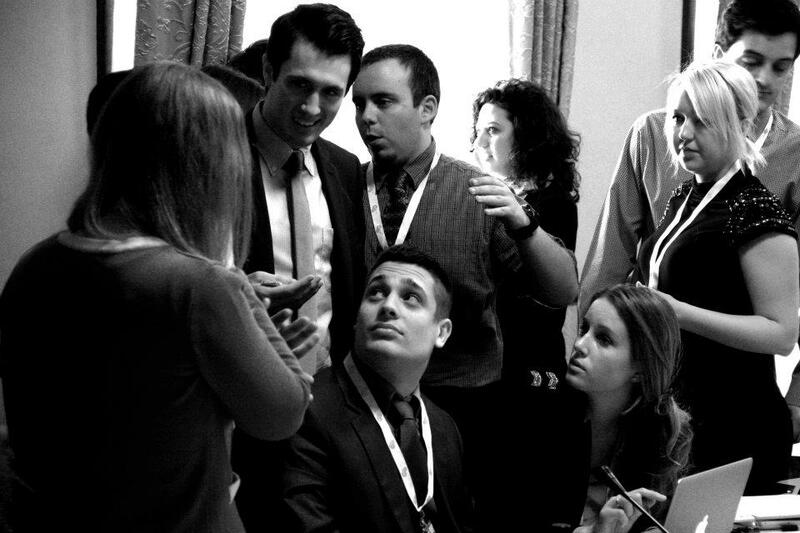 Michael Zona ’13 (standing, second from left) caucuses with other delegates in the Social, Cultural and Humanitarian committee at the 2012 Geneva International Model United Nations conference. Photo by Francis Mayne for GIMUN, used with permission. Representing India, one of the world’s most religiously diverse countries, in simulated discussions on religious freedom and defamation was an “incredible, albeit at times difficult, experience” for Michael Zona ’13, one of the leaders of a Pace University delegation to the Social, Cultural and Humanitarian (SOCHUM) committee of the 2012 Geneva International Model United Nations. Michael has a long record of excellence in Model UN conferences. As a member of the Pace NYC MUN program he has been recognized with numerous awards at the National Model UN conference in Washington DC (NUMN DC), North American Model UN in Toronto (NAMUN), University of Pennsylvania Model UN (UPMUNC), Southern Regional Model UN (SRMUN) in Atlanta and World Model UN in Taipei. He also participated in Model UN all four years in high school. He was one of 11 Pace NYC students attending the prestigious 2012 GIMUN conference last week in the auspicious Palais des Nations – former League of Nations headquarters and current location of the UN Office at Geneva. The theme of the 2012 conference was “Achieving Dialogue and Development through Cultural Diversity.” Participants hailed from 49 countries, and committee sessions were simultaneously translated between French and English. Two other Pace students participated in the SOCHUM simulation. Miranda Ronghi ’12 is representing Peru and Asia McDougle-Stamey ’13, Indonesia. 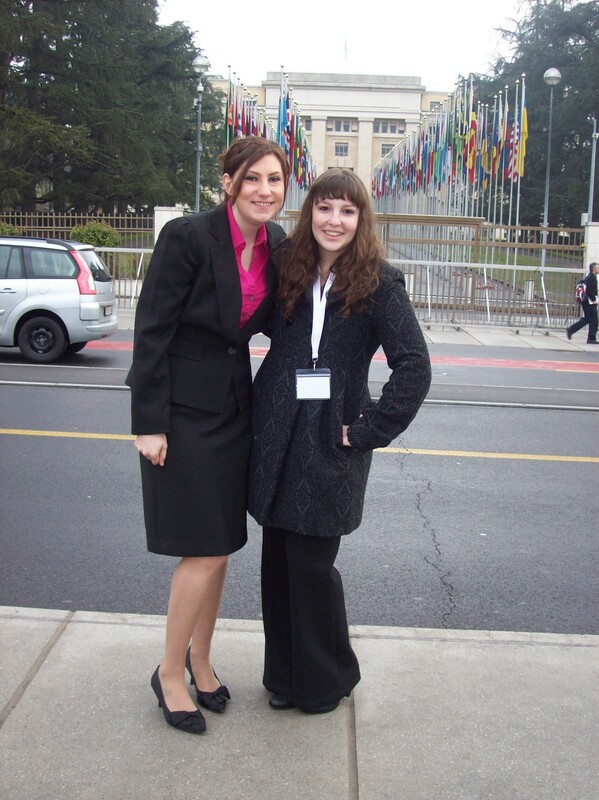 Miranda Ronghi ’12 (left) and Elena Marmo ’15 (right), outside the UN Palais des Nations, waiting for the opening session of the 2012 Geneva International Model UN conference. Both were recognized with awards for contributions to their respective committee discussions. Miranda also represented Colombia at the 2011 NMUN DC, receiving a “Distinguished Delegation” group award. Miranda studied abroad in Argentina and is currently working on a thesis analyzing its transition to democracy. 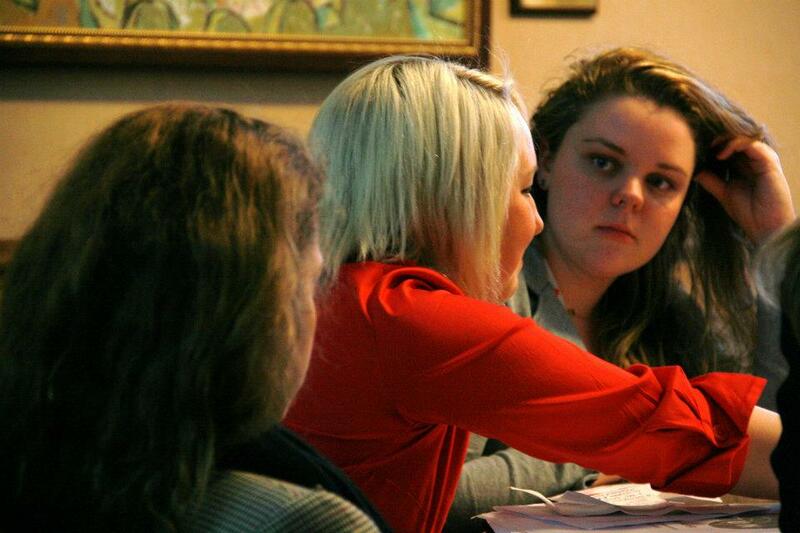 Asia McDougle-Stamey (first on right) listens to delegates discussing issues of religious freedom in a simulation of the UN Social, Cultural and Humanitarian committee at the 2012 Geneva International Model UN conference. Photo by Francis Mayne for GIMUN, used with permission. Asia also represented Philippines at 2011 NMUN DC; she was recognized with an “Honorable Mention” group award. She has experience in the complexities of Arab-Jewish relations as a Binyan fellow in Israel with the Foreign Ministry and having studied abroad in Haifa. SOCHUM is “one of the six specialized subcommittees of the United Nations General Assembly and generally referred to as the Third Committee. It was established after the development of the Universal Declaration of Human Rights in 1948. The committee’s main task is to strive for better compliance to human rights in every region of this world and thus promote international peace and security.” During the conference, student delegates discussed issues of religious freedom and the rights of indigenous peoples. This entry was posted in News and tagged Cultural and Humanitarian, cultural diversity, DC, dialogue, Distinguished Delegation, Dyson College, Dyson College of Arts and Sciences, Geneva, Geneva International Model United Nations, GIMUN, human rights, India, Indigenous peoples, Indonesia, Model United Nations, MUN, National Model United Nations, New York City, NMUN, Pace, Pace University, Peace and Justice Studies, Peru, Pfozheimer Honors College, Political Science, Religious Defamation, religious freedom, SOCHUM, Social, UN General Assembly, UN Office in Geneva, United Nations, UNOG, Washington DC. Bookmark the permalink.